Magic: the Gathering Standard PPTQ this Sunday! 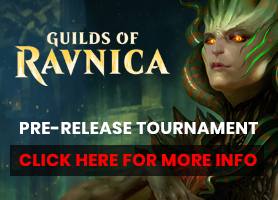 This Sunday is our Magic: the Gathering Preliminary Pro Tour Qualifier. We open at 11am and our Player’s Meeting is at Noon. Entry is $20. Format is Standard.